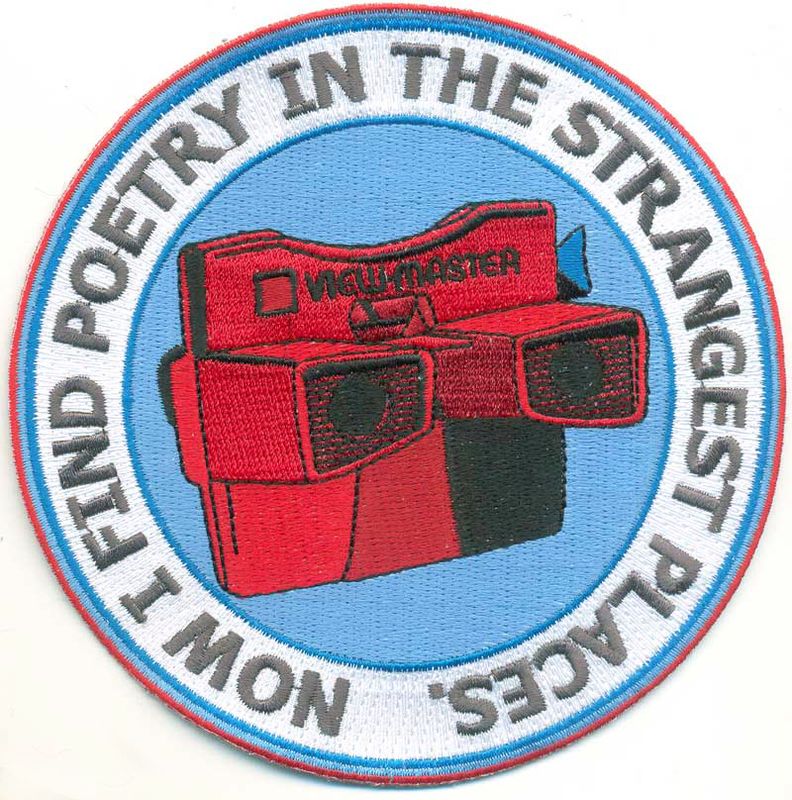 Here is my new embroidered patch. 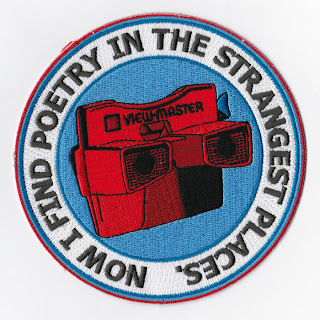 It is a reworked version of my sold out print edition Now I Find Poetry In The Strangest Places from 2007, which is part of the British Museum Prints and Drawings Collection. The new patch is 12 cm in diameter and comes in an edition of 100. It will be available in mid July and will come in it's own hand printed card presentation box for £40.